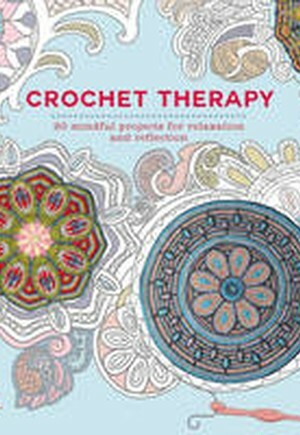 Crochet Therapy is a unique and accessible craft book designed to combine the art of crochet with practical mindfulness techniques to bring moments of calm to your everyday life. The rhythmic skills and colorful repeating patterns created by crochet help to both relax you and encourage greater focus on the present-a vital element of mindfulness theory, which improves mental wellbeing. Patterns include beautiful crocheted mandalas with zen-like circular designs as well as other simple motifs designed to help engage you in a series of meditative exercises. Alongside these patterns are further mindfulness activities, designed to compliment the therapeutic effect of crocheting and boost your health and well-being. With the help of this book, crocheting can become an effective tool to manage stress on a daily basis, whilst also allowing you to impress family and friends with your creations.